Bootstrap Business: How Does a Good BBB Rating Impact Your Small Business? How Does a Good BBB Rating Impact Your Small Business? The Better Business Bureau (BBB) has a 100-year history of showing consumers which businesses are worthy of giving their business to and which ones are better to avoid. While some small business owners insist that the BBB has lost its viability, much of the population does still put stock in the rating, enough to make it worthwhile for small businesses to pursue. The fact that the BBB has bases throughout over 100 sectors of the United States means that it is a widely recognized and trusted company that can do much to either improve or hurt the chances for a small business to grow. What many small businesses do not know is that a Better Business Bureau score or customer reviews of any kind of the business on the BBB website can cause the business to rank very high in online SEO results. This can either spell doom for businesses who have a score of C or lower or can create increased business and positive feelings among consumers who see an A or a B on the Website. The BBB provides links not only to the homepage of a website, but also to website subpages via brand name and broad searches. Of course, the highest score that can be earned is an A+, which signifies that the company has exceeded expectations in 16 different categories that the BBB judges. Some of these categories include number of customer complaints filed, appropriate corporate response to the complaints, length of time the company has been in business and appropriate corporate licensing. The fact that a good or excellent score from the Better Business Bureau can improve a customer’s feelings toward a company is a good reason to address complaints from the BBB for online and brick-and- mortar businesses. While nearly anything can be faked, very few companies would go to the trouble it would take to set up and maintain a compliant and positive account with the BBB. Therefore, consumers who visit the BBB Website or call the BBB can feel confident in the score that they receive. For example, the A+ score that ACN has earned will give future potential customers the confidence they need to proceed with the company. As previously mentioned, being a part of the BBB will allow small businesses who have online presences to see higher SEO rankings, which can lead to more clicks on the homepage. Besides this, Khalid Saleh of Invesp Consulting says that having a Better Business Bureau accreditation seal on the homepage further increases consumer confidence in the company and leads to higher conversions, meaning increased sales or services. 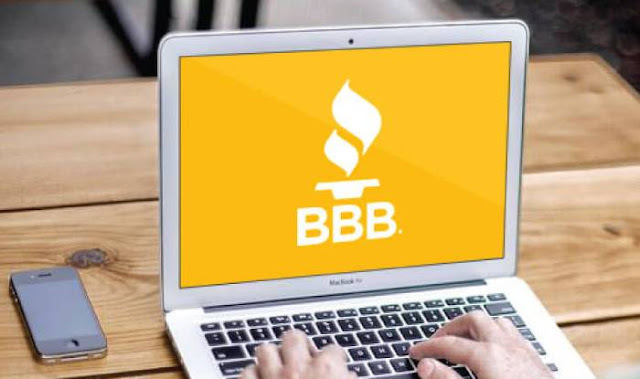 Businesses who are interested in increasing consumer confidence and sales will want to look into earning the BBB accreditation seal, which costs only $1,000 or less for small businesses. The seal indicates that the business has high BBB scores and is dedicated to great customer service. The seal is quite recognizable to consumers and aids in increased clicks on a Website or increased confidence in purchasing at a BBB-accredited brick-and- mortar store. Obviously, the Better Business Bureau is more than just a glorified consumer review site. While many consumers do put a great deal of stock in a fellow shopper’s review, the BBB also offers many other benefits for small businesses who go to the trouble and minor expense of seeking and earning the accreditation seal. A good grade on the BBB’s website significantly affects a potential customer’s ideas of a company and can help to either push through a sale or make consumers turn elsewhere for goods and services. I hope you enjoyed this article about the impact of Better Business Bureau aka BBB ratings on your small business. Interested in more articles about reputation management?